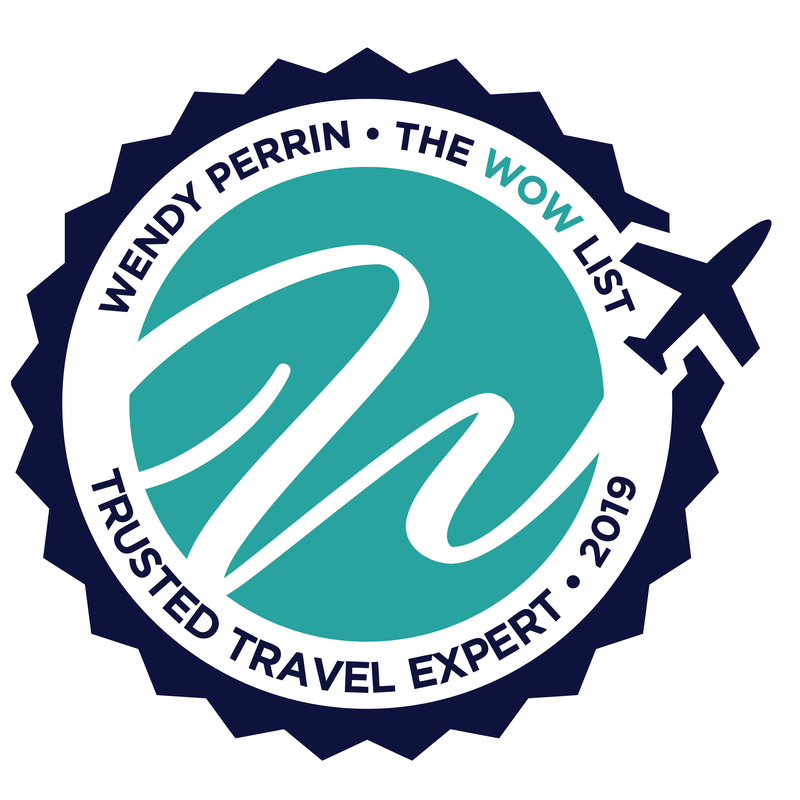 Jay and Dani Johnson are on Wendy’s WOW List of Trusted Travel Experts for their expertise and connections in California and Hawaii. The reviews below are from real travelers who’ve taken trips that were arranged by Jay and Dani and monitored by Wendy. Don’t miss Jay and Dani’s Insider’s Guides to Maui, Big Island, and Oah’u. Dani Johnson and her team were top notch from beginning to end. This is the second time that we have used Dani from the WOW list. She planned a long weekend for us in downtown LA which was the area that we had wanted to explore during this trip. She coordinated a personalized food tour with a wonderful guide, Anne. Ran into several locals who confirmed that we were making all the right food visits. Arranged for entrance to the Magic Castle which was a fun thing to check off the list. Dani’s list of restaurant options was outstanding and winners all around since we ate no where else. For our next trip to LA…we will be calling on Dani again. Dani Johnson did a wonderful job helping me put together a short trip with my daughter to LA. She selected a great hotel and offered on-point suggestions for touring, eating and shopping. She was extremely responsive to all of my questions/needs. I would not hesitate to use Dani again and already have 2 short trips scheduled, which included tickets to an exclusive show taping and a birthday dinner reservation months before they are available to the public. My advice is to take Dani’s advice. Thank you Dani! Dani organized every aspect of our week long trip to S. California for our family of 4. We asked Dani to put together a trip which included LegoLand, SD Zoo, Disneyland and day at a resort. Dani put us in the most convenient locations with the best amenities. We were extremely pleased with all the recommendations and followed her suggestions with any changes. Thank you Wendy Perrin and Team for organizing another amazing vacation for us that we could not have done on our own. Dani helped with the planning of a large multigenerational family trip. The trip worked out perfectly and Dani’s planning guidance was invaluable. During that process, we dealt with a volcanic eruption and government shutdown which threatened to derail our plans. Dani’s knowledge helped us make the right decisions. Also, during the trip, Dani helped with last minute schedule adjustments and vendor interaction. Dani did an excellent job of finding a trip off the beaten path that was perfect for us. She steered us away from several options that we would not have been happy with. She is awesome. Dani picked the Andaz Maui for us and it was a wonderful choice! She even welcomed us with a bottle of champagne and chocolates! She also was able to get us reservations at Mamas Fish House and Morimoto’s. In addition, she answered several emails about specific questions about our upcoming stay. We did not need to contact her during our stay. A great trip for us thanks to Dani and her team! Our high expectations were exceeded by our WOW agent, Dani Johnson, for our first trip to Hawaii. a state she knew very well. A good listener, she crafted a plan that fit us perfectly, including many low/no cost activities. The accommodations (Kauai & Maui) were wonderful, in ideal locations. She provided an app, preloaded with our specific plans, including websites, phone numbers, directions and activity descriptions. We had two activities that needed clarification while we were there; she answered her cell phone and provided immediate help. I highly recommend Dani; we would not have had close to as nice a trip without her. Dani did a great job of matching our needs to a resort on the north end. We had two families and a 1 yr. old, a three yr. old, and a 5 yr. old. the convenience to the beach and other amenities was as good as it gets. Her suggestions on activities such as pony rides and the luau were spot on. Restaurant recommendations were excellent as well. Even with some mix-ups on a scheduled hike, she handled the issue extremely well. I would highly recommend her. It was a great trip- my 5yr. old granddaughter was a confirmed surfer by the end of the trip. Dani Johnson was friendly, helpful and did an excellent job with our non-conventional request. Dani arranged a private tour of Pearl Harbor which was excellent – a 5 out of 5. We enlisted the help of Dani Johnson—based out of California—to help us put together a trip to Maui and the big island of Hawaii in June. Overall it was a great trip packed with hiking adventures, a sunrise visit to the top of Mt. Haleakalā and a subsequent bike down, surfing lessons in Lahaina, and a helicopter tour of the big island, including the active volcano. Dani was in constant contact with us throughout our trip, which was greatly appreciated, as we had questions about various things while we were there. We had mentioned this trip was a celebration of our wedding anniversary and at both of our hotels, there was chilled champagne and sweet treats courtesy of Dani. She even managed to snag us an upgrade to a suite at the Four Seasons Hualalai on the big island which was a pleasant surprise. Overall we were very happy with her and the great getaway she helped organize for us. I would never go to Hawaii again without enlisting Dani! I have never posted a public review before but feel that Dani Johnson’s travel assistance to us compels me to step out of my comfort zone to provide feedback. Dani’s insider knowledge in Napa and Maui not only helped me plan an outstanding trip to celebrate my husband’s retirement – we also were provided extraordinary upgrades at our resort in Maui due to her connections and relationships there. We truly felt like VIPs in every venue arranged by Dani – she surely has clout that is far-reaching in California and Hawaii! Dani was a dream to work with and made this special trip one of our most memorable. My husband and I have traveled extensively, and I have always acted as the “travel agent” making all of the arrangements. Since this was a special trip, celebrating my husband’s retirement, I reached out to Wendy, who I have followed and read in CNT for years, and was connected with Dani Johnson. She contacted me immediately and worked patiently with me to help plan an itinerary that was perfect for us. The sense of security we felt as we traveled was quite unique for us – knowing that Dani was checking in on us along the way, touching base with our resorts to make sure that they were prepared to greet us and provide us upgrades and top-flight service. It is hard to imagine ever going back to making all of our own arrangements again – now that we are spoiled with “the Dani touch”! We are so happy to have done this trip and met all our goals. We thank you for your great advise and recommendations, all steps worked well for us. In Oahu, we really enjoyed the Surfrider Hotel and could sense some of the old history behind this building. The room with balcony, the service, and the location were highly appreciated. We enjoyed Chris a guide at Pearl Harbor and Punchbowl and got our history lesson, which was a goal of ours. The house of Doris Duke was a highlight, modern outside but very decorative inside, she must have been a strong and special lady! We did drive to the North Shore but were a bit disappointed as we did not see the high waves with surf riders, maybe we had the wrong expectations. We continued around the north side of the Island, encountered heavy flooding rain and came back through the middle of the island. The trip to Hilo and then up to the Volcano House was fine. We enjoyed staying up there for 2 nights especially as from our bed we could see the red glow of the fumes coming out of the crater. Actually, the food offered was surprisingly good. The Crater Road was closed, we could only get as far the Jaggar Museum. We did, however, drive all the way down to the ocean and had many impressive sites along the road but obviously did not see any flowing lava. The drive along the coast to the Fairmont Orchid Kona was interesting though mostly through lava fields including the setting of the hotel. The Fairmont is a spectacular place with a great room with view to the golf course, the mountains and the sea. The facilities are fabulous, the restaurants we ate at the hotel and other places were succulent, I have never some much fish in my life during the 10 days we were in Hawaii. The absolute highlight was the 1 ½ hour Helicopter ride to the volcanoes and on the north side of the island. What dramatic vies of the rainforest and its deep valleys with long waterfalls. But the key was that our pilot got us to see a small crater with bubbling lava and also found a vent on the side of the volcano where the lava was flowing down the mountain though not very long. This is what I was longing to see, the inside of our earth coming out to the outside, mission accomplished! Other highlights were the Harvest Dinner with 2 other very much younger couples, which was fun and the whale watching were we got to see some humpback walls, again unexpectedly we saw a baby whale with its mam learning how to flab its back tail on the water. The underside of the Tail was all white! The only not so nice situation was the departure at Kona airport which has really no terminal building but only huts. The bad thing was that it was pouring down rain and we had to seek little corners to stay dry, but then had to embark by foot through the rain up a long ramp. The flight was annoying as we had kids and babies crying all the time in the row in front and behind us…. But we made it home, when we arrived, the first thing we did at 10 am in the morning was having a nap!! Overall a great experience all the way thanks to your great support. Thank you. Dani Johnson was incredibly helpful in the planning of a trip for my husbands 60th birthday. Her knowledge of the islands and relationships with the hotels and guides is top notch! She is extremely responsive and even changed our hotel reservations on the fly to allow us to stay longer at one hotel. We had an amazing trip and are already thinking of planning our next trip to the islands with Dani! I found Wendy Perrin via a web search and was tentative, but submitted my information anyway. And I am so glad that I did. From my first phone call with Dani Johnson, I could tell I was going to be in good hands. We had spent a lot of time in Northern CA wine country but wanted to try something new to celebrate our 20th wedding anniversary. I set a high expectation for this trip and was nervous about going to an area I had never been before. We had heard great things about Southern CA wine country but when I started researching things I wasn’t finding the “splurges” I was looking for this time. Dani provided great suggestions. Each resort was exactly what I wanted. Ken our wine guide was spectacular and so happy now to have a new friend. The restaurant reservations were made and each one was fabulous. We travel often and I like to splurge occasionally on some of the experiences. Well at the end of the trip I said to my husband, each upgrade was worth it. It ranks up there as one of my favorite trips we have taken so far. Thank you, Dani, for listening to what I was looking for and coming through with suggestions I would never have found on my own. I know that we planned things late, but you still made it all happen. We are already recommending you and your services to friends that want to take the trip that we continue to talk about. The best suggestion I have for people considering working with Dani is, be honest about what you want, set the expectations and leave the planning to her and her team. I would definitely use Dani Johnson again and would also contact Wendy Perrin when we plan our next adventure. Thank you. Dani Johnson was an excellent planner. She planned each day carefully with activities.It was also great that we had places selected to eat along the way. All recommended and confirmed by Dani. She would even text us during the trip to follow up or confirm an activity or dinner. It was all conveniently organized on an app. Just checked my phone and at a glance, the day was set up. This is our third trip with your WOW travel specialists since 2014 – we worked with Virginia Irurita for our trip to Spain in October 2014 and then with Jonathan Epstein for our trip to Scotland in the Fall of 2016. These journeys have been expensive and luxurious and we have been completely satisfied with our experiences. I did not hesitate to work with your specialist, Dani Johnson, for our trip to LA/Malibu for our sons wedding last week. We required a large, luxury home to keep four generations of our family together, rental of items for an infant, stocking of the refrigerator, babysitting services, hair styling at the house and car transportation on the wedding day. Dani delivered on everything I requested!! The house in Malibu was extraordinary – there was a little problem with the contact person assigned from the Luxury Retreat partner. She did not respond in a timely manner to Danis request for confirmation of details and she was quickly replaced with another person who was efficient and stayed in touch throughout all of the planning. Unlike our previous travel experiences, this was not a vacation of visiting sights or cities or moving hotels – in some ways, this experience demanded more planning of details and ensuring that the residence would give everyone the comfort and ease that we requested for this very special family event. Dani was exceptional in her attention and she was exceptional in creating a week that meant so much to everyone. My two dear friends and I decided in May to spend a week in Napa and Sonoma in July. We knew this was relatively short notice given that this was the height of summer travel, and I had hoped using an agent would help us a little bit in securing a decent place to stay, perhaps help guide us to some good wineries, etc. Well, Dani Johnson exceeded all our expectations! In short order, she found us the perfect house to rent for the week. She also put together an amazing wine tasting itinerary and found us a truly remarkable guide. A trip that started out as a spur-of-the-moment decision turned into one of the best and most memorable journeys we’ve experienced. Maui June 2017. I hadn’t gone on a family trip in several years due to my health. When we decided to go to Maui, the planning process was overwhelming. Dani Johnson took all of the stress out of the planning and left my family with the fun choices. She booked an incredible ocean view condo, car, a phenomenal private tour guide for the road to Hana. She gave me ideas for restaurants, excursions. She spends several weeks a year in Hawaii and knew the entire area. My husband, daughters and I loved planning for the months prior to the trip, everyone got to choose their “must do.” We were able to book all our excursions and dinner reservations prior to the trip. Dani gave us personal recommendations for everything (including what luggage she likes!) The trip itself was amazing. The condo was beautiful, very comfortable, gorgeous views. We had wonderful dinners together watching the sunset. We loved all her restaurant recommendations. We truly couldn’t have had a better vacation. I can’t thank Dani enough. We used Coastline Travel Advisors (Jay Johnson and Amber Kimble) to book two rooms for us at the Four Seasons Hotel Tokyo at Marunouchi. It was a simple request, but the way they handled it makes me want to use them again and in a broader capacity. Jay and Amber were responsive, asked good questions, acted quickly, etc. We ended up getting upgraded to the two best rooms in the hotel, quite a treat, and something the 16 and 19-year olds traveling with us will remember the rest of their lives (their room was larger than the house they live in). I will keep using Coastline Travel. This traveler wrote to “Ask Wendy,” asking me to recommend a travel agent who has pull with Four Seasons hotels generally and whom it would make sense to use on multiple future trips to various Four Seasons properties. I know many such “Four Seasons Preferred” travel agents. I suggested Jay partly because he is based in the same area as the traveler. The lesson here: The travel business works in mysterious ways. If you can’t find the answer to your specific need on The WOW List, write to “Ask Wendy”: https://www.wendyperrin.com/ask-wendy-question/. My name is Wanwisa Posner and I worked on my trip to Maui with Dani Johnson (Jay Johnson of Coastal Travels wife). I reached out to Jay Johnson and received an email from Dani on 12/29. We had a great initial conversation and I was told I’d receive some proposals in a couple days. I had seen some really great flight deals on Hawaiian Air but lost them while waiting for a proposal from Dani (not ideal but understandable considering it was the holidays). Eventually, I booked my own flights on United which cost a bit more than the Hawaiian flights but were better than the flights Dani had sent over. Dani was helpful in terms of recommending accommodations that would suit our needs, but it took her so long to book the accommodations, we lost our first choice room category. The worst part was, she didn’t even realize that had happened! Instead, she assumed the prices dropped – instead the room category was just gone and so the lower category popped up as available and so of course the price was lower. At that point, I felt she was not prioritizing our trip. I had to resend things like our flight information and the dates we would need accommodations a couple times when I thought most travel specialists would note these important details and not have to ask for them again. I generally felt frustrated with the time frame that it took to book everything. Our trip was for 2/28 and it took almost 2 weeks to finalize our accommodation bookings. We ended up having to spend a lot more to get a suite with ocean views, as we wanted the ocean view room and lost it. (In the past, other WOW List specialists have held rooms for us to safeguard something like this from happening). I ended up reaching out to Wendy to voice my frustrations. I was hoping I would be able to just work with Jay (Dani’s husband and the travel specialist who is actually on Wendy’s list), but I never heard from Jay. Not only that, Dani reached out to me and was very unprofessional when she confronted me about my complaints and lectured me on how hard working she is and that I am the first client to have felt this way about her. I felt that conversation should not have taken place at all. At that point, everything had been booked and I figured it was too late to go our separate ways – she did an ok job recommending restaurants, day trips etc., she sent over some photos of the resorts we were staying and reached out once or twice during our trip to confirm some restaurant bookings. We had a great trip regardless of my experience with Dani and unlike other WOW List specialists, she failed to reach out to see how our trip went (we live on the West coast and will probably go to Hawaii quite often, too bad we were not able to form a relationship for future trips). That said, I did feel my initial phone call with Dani was very helpful. I was interested in staying in an area on Maui that would have been quite windy and wet during the time we visited. She did a good job convincing me to stay in Wailea instead and we liked it very much. I also liked some of the restaurant recommendations that she made and she had a special with one of the resorts we stayed at and got us a free night. Unfortunately, I feel these are things one should expect with any travel agent that specializes in a specific destination. I will not be working with Coastal Travels on our next trip to Hawaii. We’re so sorry that Wanwisa was not satisfied with the arrangements we made for her. But we’re glad to read her feedback because it raises some points we’d love to have the opportunity to share with future travelers. One important thing we want to make sure future Hawaii travelers know is that in Hawaii, a travel agent cannot hold a hotel room for a traveler until the traveler provides his/her credit card number. By the time Wanwisa sent us her credit card number, her preferred room type was gone. In addition, when we searched for her name in our secure server, we could not find her name. The credit card was under her husband’s name and we had thought she was submitting the form under her name. Another important thing for Hawaii travelers to know is that the hotel benefits that a travel agent can deliver vary significantly from hotel to hotel, depending on the travel agent’s relationship with each property. Because we have a very strong relationship with the Four Seasons Maui, we were able to arrange for Wanwisa to be upgraded from a Garden View room to one of the resort’s best Partial Ocean View rooms. If a traveler wants to stay at a hotel where we don’t have any pull, we’ll be sure to tell the traveler. We advised Wanwisa that, at the Andaz, our travelers get a one-category upgrade, based on availability at time of check-in. While it was very possible that the room category Wanwisa had wanted (an Ocean View Room) might open up, Wanwisa decided to pay more in order to get an Ocean View Suite that was twice the size of the Ocean View Room, since that extra space would come in handy for her toddler son. A final important thing for Hawaii travelers to know is that a travel agent can deliver better rates and value-added benefits when a trip is in low season or shoulder season, as opposed to peak season. Wanwisa’s trip was during the Presidents’ Week school holiday—one of the busiest weeks in Hawaii and one of the toughest times to find available rooms and deliver hotel benefits such as free upgrades and free nights. Yet that’s what we did for her. We did our best to prioritize Wanwisa’s trip planning. We immediately responded to her initial trip request when it came in during the holiday week between Christmas and New Years. 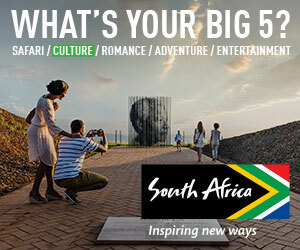 We tried to get the ball rolling as quickly as possible, but we would love the chance to do better in future, so we recommend that any travelers wanting to book trips during high season (such as a school-break week or the festive season) contact us at least four to six months before that holiday period. For our first trip to Los Angeles in April of 2017, we worked with Dani Johnson. She did an excellent job of putting together an itinerary that was customized just for us and our interests. She was quick to respond during the planning phase and most importantly while we were on the ground in Los Angeles. She solved a problem with our hotel room that exemplified world class service. Upon our arrival at the Beverly Hills Hotel our upgraded room (based on Dani’s status with the property) overlooked a large stone roof top which was extremely disappointing at a 5-star hotel. I attempted to resolve the issue with the property and got nowhere. They provide a $200 credit which at $50/night was not impressive to me. I sent an email to Dani expressing our disappointment. She responded immediately by calling the property. She was able to facilitate the option for us to change rooms the next day (which we took) to a similar room overlooking the gardens. It changed our experience at the hotel 100%! Dani also connected us to local guides who were marvelous and extremely knowledgeable. We plan to return more regularly to LA and will most certainly be in contact with Dani and her team again. She is great! I highly recommend Jay and Dani Johnson as your Hawaii travel experts. Dani was very knowledgeable in planning my birthday celebration on four of the islands. She suggested hotels, restaurants, and activities that were fantastic and geared to our specific wants. She made sure wherever we went we were taken care of and treated very special. Her experience, accessibility, and thoughtfulness made our Hawaii experience and my birthday the best ever! We can't wait to use her again. Dani was right on about the lodging she recommended. They were just perfect. When the concierge at one location was slow, she got her attention. All of her activity recommendation were spot on. We can’t wait to use her again. Dani Johnson, who is Jay Johnson’s wife arranged my travels to Hawaii. Dani helped me determine which islands on Hawaii would be best for my long time friends 50th birthday. We agreed upon Hawaii and Lanai. Both islands were unique and met our needs of snorkeling, relaxing, and good food. Dani also recommended some excursions. One of them was a bust. Otherwise, the trip was great! The 50th birthday celebration was excellent and the resort properties were amazing. I recommend using Dani for her preferred travel specialist status. She knows the properties in Hawaii really well. Very helpful and knowledgeable about the North Shore of Oahu and Turtle Bay Resort where our family had an ocean villa for a week. Very organized and easy to work with. We had such an incredible trip to Kauai in December 2016, with major thanks to Dani Johnson and Coastline Travel! We booked our trip relatively last minute, but Dani proved to be the most resourceful, attentive and easy-to-work with travel specialist for whom we could have hoped. We stayed at the St. Regis in Princeville, and thanks to Dani’s recommendations for things to do around Hanalei Bay and across the island, we got the most out of our 8 days there. One of the major highlights was Dani’s recommendation to take a dog from the Kauai Humane Society on a field trip–a half day hike at Shipwrecks Beach. It was awesome to add a canine companion to our hike, and great for Max (our new canine friend) to get out of the shelter for the day. Dani also helped by recommending the right kayak/hiking/biking adventures and operators, and with dining suggestions and reservation help. At Dani’s suggestion, we ended our entire Hawaiian vacation with a beautiful dinner at Orchids at The Halekulani in Oahu–it was the perfect end to a much-needed getaway in Paradise. We cant wait to visit Hawaii again, and will absolutely use Dani to help put it all together! Picked great hotels. Worked hard to find the right properties to meet our needs. Not easy task having not worked together previously. Very responsive and easy to work with. All achieved on short notice during the holidays. Could have been more on top of logistics such as airport transfers and car rentals. Dani Johnson went above and beyond in planning and executing a special birthday trip to Hawaii and Pebble Beach. In the planning stage I specifically recall a 45-minute conversation with her on a Sunday afternoon. From that point, I knew we were in the right hands! Her recommendations (flight, hotel, excursion, restaurant) were impeccable. Communication continued throughout and, when there was an unforeseeable issue with one of our room locations, Dani stepped in and resolved beyond our satisfaction. I enthusiastically recommend her for travel to Hawaii and California and will certainly be calling on her for our future travel needs. Jay Johnson’s wife, Dani Johnson, worked on my travel arrangements and she did a wonderful job. She was very good at all the details that make a trip memorable. She had the ability to get us excellent tables at restaurants in SF, and she was particularly helpful in deciding to go to Napa and what to do there. It turned out to be the highlight of the trip. We loved Auberge and our suite as well as our time at Silverado cooking school and at the Hess Vineyard. I would definitely recommend to anyone heading to California to take advantage of Dani’s knowledge and contacts about California. We wanted to plan a 3 week trip to Hawaii that would be special — we wanted to have time to relax and spread-out, but also see as much of the islands we could, and enjoy lots of different activities along the way. Dani Johnson came up with a number of fantastic recommendations and presented a number of options tailored to the families interest. We had a great trip that everyone will regard as one of their favorites… on multiple days both my 8 and 9 year old declared something the best thing they had ever done (a phrase they never used before, but meant each time they said it). Jay along with Dani, his wife and Isabella’s picks for our excursions were top notch and we thoroughly enjoyed our travels on Maui, especially our trip to Hana with Alberto. Although I was a little reluctant about the choice of the Westin, it turned out to be a fabulous destination and I think the special treatment we got there, as well as in the restaurants that were booked for us, are totally related to the relationships that they cultivated in their travels to Hawaii. – When trying to decide which resort to stay at, she sent write-ups of several choices, but not just information on the rooms and rates — she included restaurants, activities, spa facilities, and “romantic surprise” possibilities. – She provided suggestions for restaurants, both on the resort and on the main island. – When I was trying to decide on the order in which we would visit multiple locations, she drew up several itineraries and sent them all to me so I could see which ones didn’t work. – When we finally decided on an itinerary, she sent me a “final” (working) itinerary that already had not only resorts and flights, but airport transfers, check-out times, meal arrangements, etc. Additionally, Leah recognized that since this was going to be a special trip, “ordinary” wouldn’t do. She managed to get a reservation at the finest restaurant on the island, with the most desirable table. Our room at the resort was all the way at the end of the boardwalk, for the most privacy. When a Porsche showed up at one resort when we were checking out, I wondered who it belonged to — it turns out it was an airport transfer for us! Leah also made sure that our anniversary was more than just a “vacation”. At every stop we were greeted at check-in with “Happy Anniversary!” We were always running into complimentary bottles of wine, champagne, chocolates, macarons, etc. The best “extra” was a couples’ massage, which my wife thought was unbelievably thoughtful of me(!). Finally, she went beyond what most people think a “travel agent” is expected to do. She offered so many suggestions for things I could do to make the trip special for my wife — having our kids pack something for me to surprise her with, having photos framed and set up in our room so they were there when we arrived, and having the “romance concierge” call me to finalize all arrangements before our departure. Years ago I used a couple of travel agents and didn’t find their services to be anything beyond what I could do myself, so I’ve been doing all of my own arrangements for quite a while. From now on, though, my first call is going to be to Leah. Thanks Leah, and thanks Wendy! Best agent I've ever worked with. Jay and his wife Dani Johnson managed our trip for fourteen people to Napa, from four different cities around the US. The occasion was my husband’s 60th birthday and the planning included flights, very complex ground transportation arrangements, hotel accommodations, activities (cooking class, full day wine tour) and group restaurant arrangements. Dani is the best agent I’ve ever worked with. She made everything as painless as possible and everything went off great. Our guests can’t stop raving about the experience. Most important, the birthday boy had a fantastic weekend. He says it was his most memorable birthday so far! Jay Johnson and his wife Dani planned a trip to Maui to celebrate my two sisters special birthdays. If I can say one thing that separates Dani from other travel agents is her complete responsiveness. Her communication throughout was amazing. If I emailed her, I did not have to wait for a response. That made planning a pleasure. She gave great advice such as making dinner reservations ahead to get the best table at the time we requested. She arranged a tour to Hana which was just delightful. I can say we had the trip we had hoped for. She followed up with me after the trip which I appreciated. I am already planning another trip with Dani. I am so very grateful to Wendy Perrin and her team of trusted travel experts. I needed someone to help me plan a getaway for myself and my boyfriend in Southern California, and I couldn’t have dreamed of someone better than Jay Johnson and his wife, Dani, to be my guide. Their vast knowledge of the area, expertise in accommodations and dining, creativity, thoughtfulness, and attention to detail was wonderful. They helped me plan exactly the kind of trip we wanted. We ended up heading to Newport Beach and it was the perfect weekend escape, fit with both relaxing and adventurous activities, an absolutely stunning hotel, and delicious food at every meal. Dani was always on hand to make sure every last detail was taken care of and perfect. I will definitely be reaching out to her again in the future! We have recently returned from a brief trip to Santa Monica and Los Angeles, which we tagged onto a business trip. Thanks to Jay and, especially his wife, Dani, we were able to experience a little bit of everything: a stay on the beach (at Shutters on the Beach) in Santa Monica, lots of walking and exploring in and around the area, as well as a stay in Los Angeles at the InterContinental and dinner reservations at the fabulous Crustacean restaurant. Best of all, Dani secured special extras for us: a haircut in a Beverly Hills salon, as well as tickets to view a taping of The Ellen Show. She arranged a driver for our drive out to Burbank, eliminating the stress of traffic and watching a GPS. We were also pleased that she patiently taught us how to load and use the Uber app for other trips, which we have used many times since. We returned home rested and filled with wonderful memories of another “bucket list” trip. We went to four Hawaiian islands—Oahu, the Big Island, Maui, and Kauai—during a 15-day time span. Jay’s wife Dani had great recommendations and truly seemed to care about our experience. She kept in touch throughout our trip and was able to get us certain perks at some of the properties. Jay did a terrific job in managing the land arrangements for our trip to Germany and The Netherlands in September 2014. With his Virtuoso membership, we received upgrades and associated benefits in all the hotels. In Munich, Jay knew the sales manager, was very familiar with the property and was able to recommended the particular location of our room. He really went the extra mile in providing attentive service resulting in flawless vacation.. Working with Jay was a tremendous experience. His attention to detail, knowledge and care were spectacular. Jay listened to my thoughts and planned a trip that covered the requisite sights, but enhanced the adventure through his knowledge of the area and his family experience. We have used recommended specialists in London, Seattle and Italy and they were fantastic, but I felt that Jay’s service was personalized and customized for my family. As you remember, Jay helped plan a Southern California Adventure for my family. My son was 7 at the time of the trip. Jay tailored activities for my son but made sure those activities were also interesting to my wife and me. We maximized our fun time, and Jay and his team ensured the reduction of logistical issues inherent to Southern California travel. We had a beautiful day in Malibu. It was so clear we saw the curvature of the earth at one stop with a panoramic view. We ate a special place overlooking the ocean. We had guided tours of the Getty museum and the LA County museum. We went by helicopter to Catalina Island and had a guide who provided unique insight for our family. We rode horses into the Hollywood Hills. Ate in a restaurant at the top of a downtown building. We took surfing lessons from a championship surfer. We saw the Beverly Hills sights in a convertible. We had a guided day at Disneyland and were able to see all of the attractions that were important to our family. The views and the commentary from our guides on the trip made us feel like Los Angeles insiders. We stayed at hotels that were tremendous and ate at unique and varied locations. The trip far exceeded my expectations. Jay and his team took great care of my family. I felt that Jay truly wanted our trip to be memorable and unique. I cannot advocate his services more strongly. Thank you very much for making the introduction. Four months later, we remember the trip with tremendous enthusiasm. Jay Johnson was a huge help with our trip to Los Angeles. We had a fabulous time and definitely appreciated the extra amenities afforded to Virtuoso travel members that were made available to us. Our rooms at The Beverly Wilshire were nothing short of spectacular. We were on a high floor (6th floor) in the Beverly wing (the older part of the hotel) and our connecting suites were enormous. My husband and I were given a corner room, so between the two rooms, we had about 10-12 windows. We definitely enjoyed the complimentary breakfasts each day at Blvd—one day we even ate outside—and we had dinner one evening at Blvd with our courtesy credit. The car service that Jay arranged worked very well. We were extremely comfortable in Cadillac Escalades, and remarkably all of our luggage fit without a problem (we do not travel light….). We even had the same driver for the Beverly Hills-LAX leg as we did the LAX-Anaheim leg. His name was Alan, and he was incredibly charming and nice. It was fun to see him again at the conclusion of our trip and give him our Disneyland report. The car service fees were also very reasonable. I will definitely recommend Jay to any of our friends heading to Los Angeles.